Johannesburg – The extent of the Gupta family’s alleged power over South Africa and its leaders could possibly be laid bare when between 100 000 and 200 000 leaked Gupta emails are expected to be made available to journalists soon. 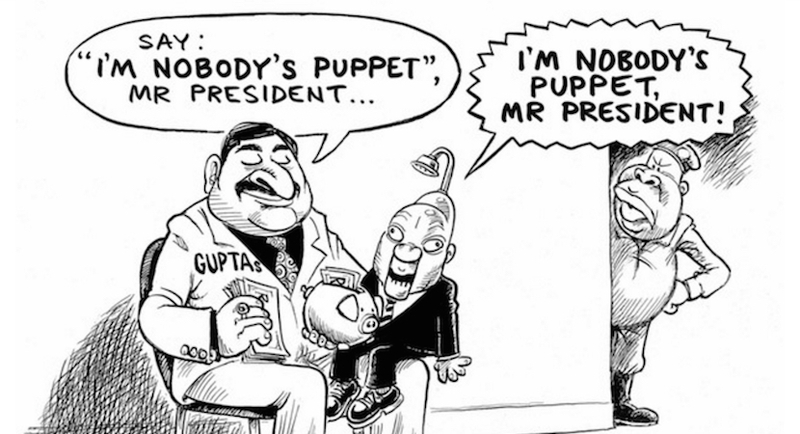 “I’m nobody’s puppet”. 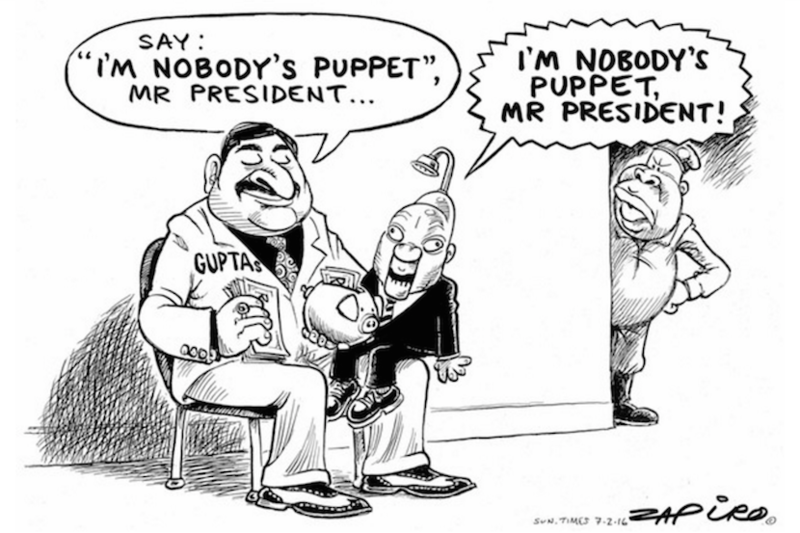 Some more magic available at www.zapiro.com. A portion of these emails were leaked to the City Press and the Sunday Times, who broke the story at the weekend. Ongoing coverage of those leaks has continued on News24, City Press and TimesLive. Daily Maverick’s investigative unit Scorpio and amaBhungane said in an editorial on Thursday that they had access to a larger trove of emails and would make them available to many “bona fide journalists”, along with reporting on stories emanating from them. “Today Scorpio, the Daily Maverick’s newly launched investigative unit, and amaBhungane, the independent investigative non-profit, start publishing stories from a much, much wider trove: a few hundred gigabytes of information containing between 100 000 and 200 000 unique e-mails and a host of other documents,” they said. “It was our plan eventually to place the full #GuptaLeaks on a platform accessible to the wider media for further investigation. The publications said they had the information for some time but held back publishing “in the interests of in-depth inquiry and the safety of the whistleblowers”.